TT is an online writer with over four years of experience writing about sports and pop culture. Today, I recap the careers of the top five quarterbacks of the 2006 NFL Draft and what they are doing today. College Career: As a redshirt sophomore, Vince Young led the Longhorns to an 11-1 record and the school's first-ever appearance in the Rose Bowl. The next season, he led Texas to an undefeated season and a National Championship over USC in what is seen as the greatest college football game ever. In his three seasons playing for Texas, Young accounted for 6,040 passing yards with 44 touchdowns and rushed for 3,127 yards and 37 touchdowns. Pro Career: In his rookie year, Young started 13 games for Tennessee, finishing with a 8-5 record. That season, he displayed his dual-threat ability, helping the Titans to multiple fourth-quarter comebacks and was named the NFL Offensive Rookie of the Year. 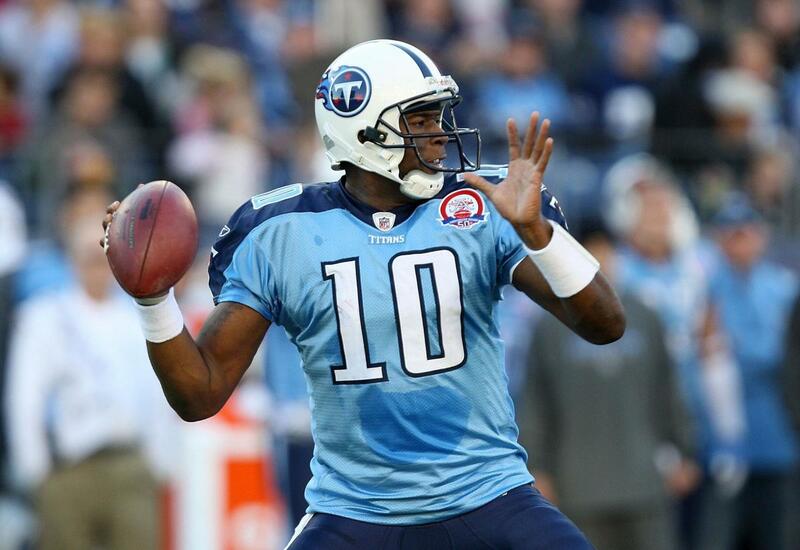 In 2007, he led Tennessee to a 10-6 record and a wildcard spot the playoffs. In 2008, Young injured his knee in the opening day game and was benched for the season in favor of Kerry Collins. After an 0-6 start to the 2009 season, Young regained the starting job and helped the team finish 8-8. After starting the 2010 season 4-5, Young got in an altercation with head coach Jeff Fisher and was benched. He spent his final seasons playing with Philadelphia and failing to make teams with Buffalo, Green Bay, Cleveland, and the CFL before retiring in 2014. Bottom Line: Young was an exciting NFL quarterback, but lacked all the tools to be an elite talent. His career completion of 57.9% and a 46-51 touchdown to interception ratio were hidden by his rushing ability and 30-17 record as a starter for much of his career, but his Wonderlic score of 6 out of 50 probably should have been a red flag before the draft. Add in his mid-career disappearance after being benched in 2008, "Invinceable" was anything but in the NFL. Where Is He Now? : In 2014, Young was hired by the University of Texas to work for its Division of Diversity and Community Engagement as a development officer for program alumni relations and raising money for programs that assist first-generation and low-income college students. Earlier that year, he filed for Chapter 11 bankruptcy in a Houston court after it was reported that he spent most of his $34 million NFL salary on lavish things and, in his words, the betrayal of trusted advisers. College Career: After backing up Heisman Trophy winner and future first overall pick Carson Palmer, Matt Leinart was named USC's starter as a redshirt sophomore. As a junior, he led the Trojans to an undefeated season and a National Championship while being named the Heisman Trophy winner. Leinart returned for his senior season to help USC to an undefeated regular season but lost in the National Championship to Vince Young's Texas Longhorns. He finished his USC career throwing for 10,693 yards and 99 touchdowns. 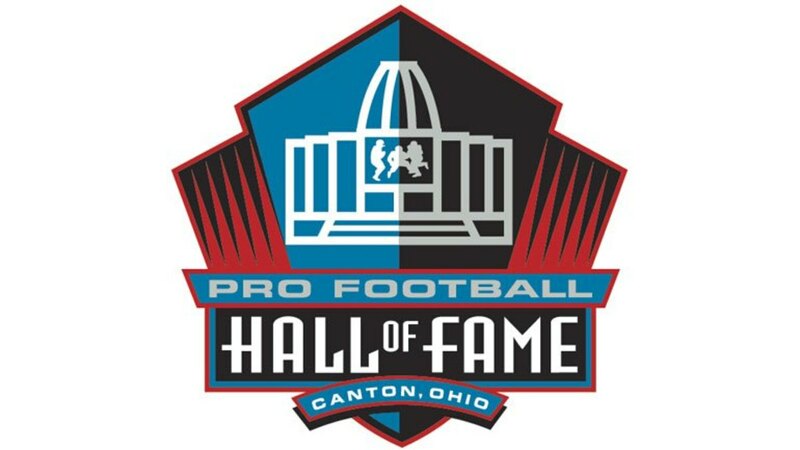 Pro Career: In 11 starts his rookie season, Leinart threw for 2,547 yards, 11 touchdowns, 12 interceptions, and finished the season with a 4–7 record. That year he also set an NFL rookie record with 405 passing yards. Early in the 2007 season, Leinart fractured his collarbone and was lost for the remainder of the year. 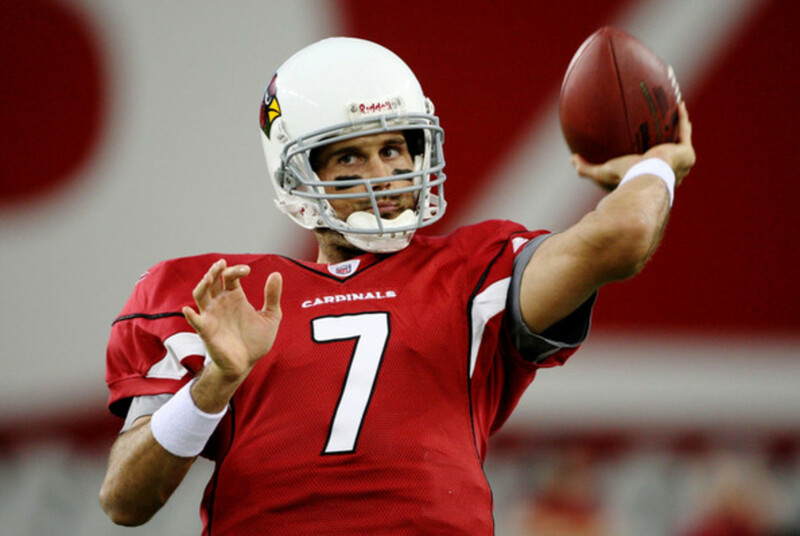 During the 2008 training camp, Leinart lost the starting job to Kurt Warner, who ultimately led Arizona to Super Bowl XLIII. After Warner retired following the 2009 season, Leinart was expected to be the starter but was cut in training camp in favor of Derek Anderson. He played two more seasons as a backup with Houston and Oakland before retiring in 2013. Bottom Line: Leinart would have probably done better had not returned for his senior season. Had he entered the 2005 Draft, he likely could have been drafted ahead of Alex Smith and Aaron Rodgers. In the end, he was brought in to Arizona to replace an aging Kurt Warner, but in reality, opened the door for Warner to have a career resurgence. In six seasons he threw for just over 4,000 yards to go along with 15 touchdowns, 21 interceptions, and a 57.1 career completion percentage. Where Is He Now? : In 2014, Leinart signed a deal with the Pac-12 Network as a Studio Analyst. He also is a recurring guest, via voicemail, on the Barstool Sports podcast "Pardon My Take." College Career: In four years as a starter, Jay Cutler set all the major passing records at Vanderbilt. As a senior, he was named the SEC Offensive Player of the Year and finished his college career with 8,697 passing yards and 59 touchdowns. Pro Career: Despite a 7-4 record, head coach Mike Shanahan benched starter Jake Plummer in favor of Cutler. Cutler would go 2-3 as a starter, throwing nine touchdowns and five interceptions. 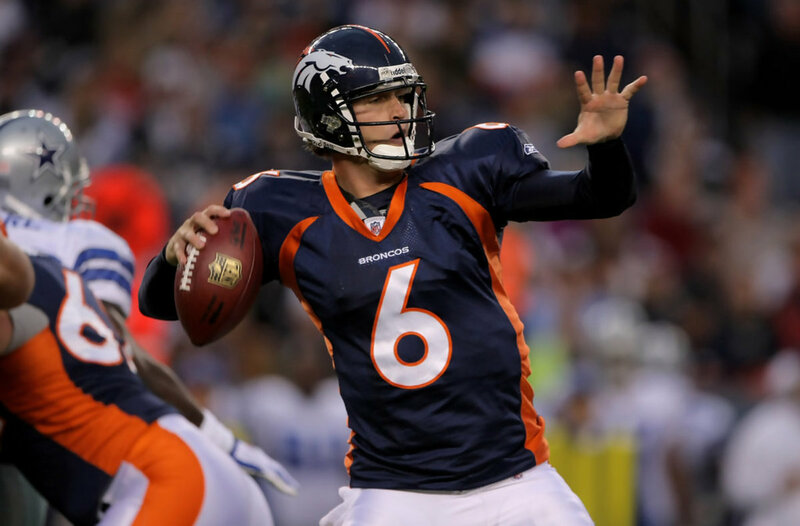 In 2008, he had his best statistical season throwing for 4,526 yards and 25 touchdowns, but the Broncos lost their final three games to finish 8-8 and missed the playoffs. Cutler was traded to Chicago in 2009 for Kyle Orton. The following year, he helped Chicago reach the NFC Championship. After initially retiring in 2017, Cutler signed with Miami after Ryan Tannehill was lost for the season with a torn ACL. Bottom line: With this guy, it's like taking the good with the bad. He was going to throw for a bunch of yards, but would ultimately cost his team the game by taking a late sack or throwing a pick. 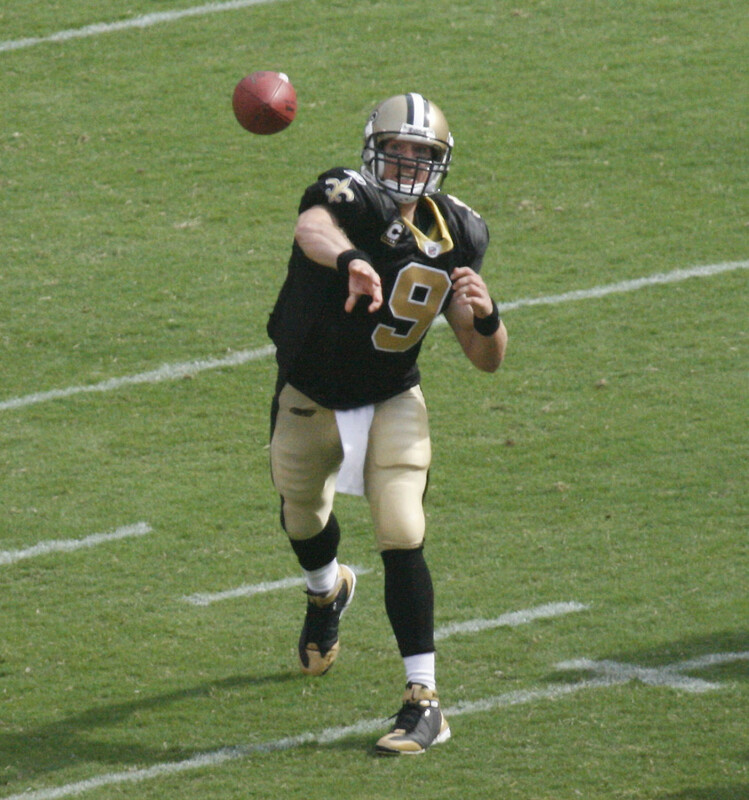 Case in point, the 2008 season. 8-5 Denver needed to win just one of their final three games to make the playoffs. They lost all three by huge margins, and Cutler has to take some of the blame. Then there's the hissy fit over the team firing Mike Shanahan and hiring Josh McDaniel's, when he put his home up for sale because he heard rumors of a three-team trade. He's been an injured, turnover machine ever since leading the league in interceptions twice and being one of the most sacked quarterbacks in the league. And the fact that Miami called him out of retirement, shows you how blinded teams are by arm talent. In reality, his off-putting personality doesn't bode well for leadership and is the embodiment of a coach killer. Where Is He Now? : Cutler is still technically on Miami's roster as an unrestricted free agent. Assuming Ryan Tannehill returns as the starter, Cutler may go back to what he initially planned to do post-retirement and become a sportscaster. 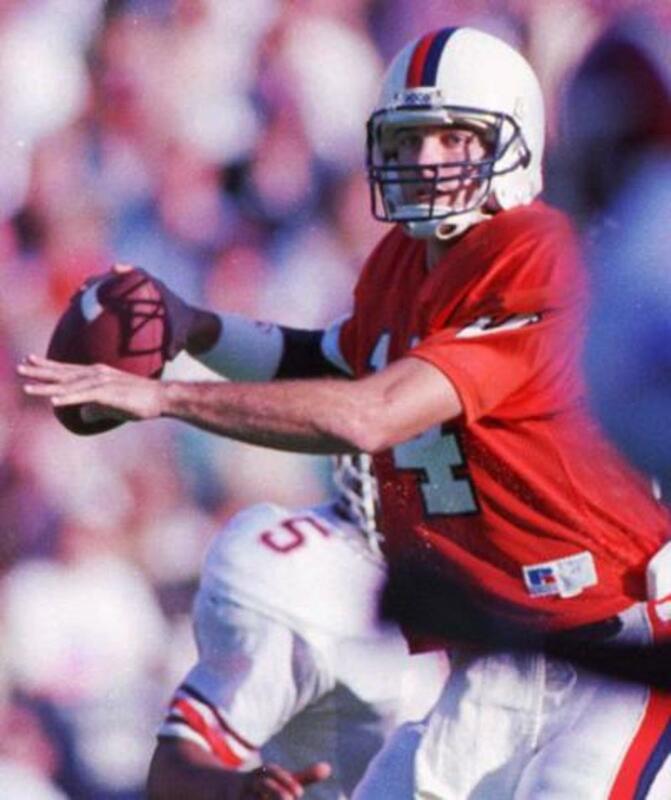 College Career: As a sophomore, Killen Clemens started all 13 games and threw for more touchdown passes and yards than any sophomore in school history. During his time at Oregon. He passes for 7,555 yards and 61 touchdowns. 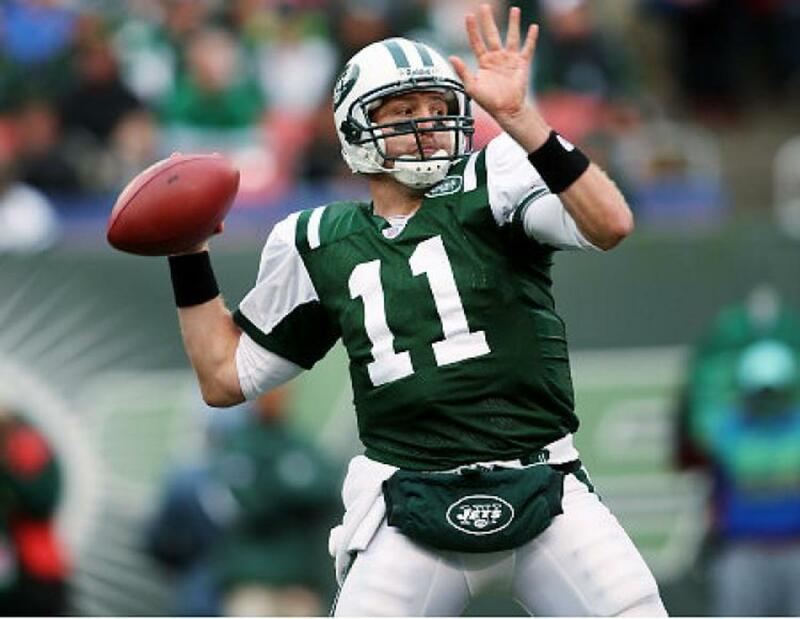 Pro Career: After starter Chad Pennington went down with an injury, Clemens started eight games for the Jets in 2007. After spending time with Washington and Houston in 2011, Clemens was claimed off waivers by the Rams and started three games that year. In 2013, he started nine games and set career highs with 1,673 passing yards and eight touchdowns. Bottom Line: In 12 seasons, he has 1,053 career passing yards to go with 16 touchdowns and 21 interceptions. He's a serviceable backup, but not someone you want leading your franchise for years. With average athleticism and arm talent, he's best suited for mop-up duty at the end of games. Where is He Now? : Clemens is still in the NFL and serves as the backup to Phillip Rivers with the Chargers. 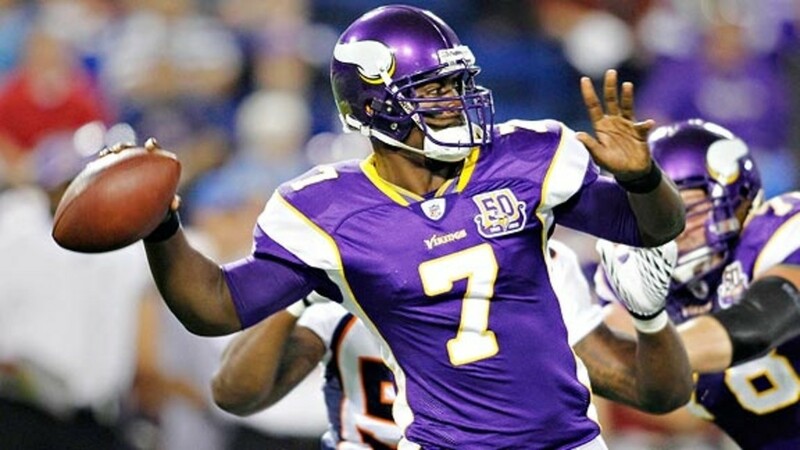 College Career: After playing two years as a reserve at Arkansas, Tavaris Jackson transferred to Alabama State in 2003. In his college career, he passed for 7,397 yards and 64 touchdowns. Pro Career: After spending much of his rookie year serving as a backup, Jackson got his first start in week 16. Despite an 8-4 record as a starter in 2007, Jackson had just nine touchdowns next to 12 interceptions and averaged 159 yards passing a game. After being benched for Gus Frerotte in 2008, Jackson started the final three games to help Minnesota reach the playoffs. 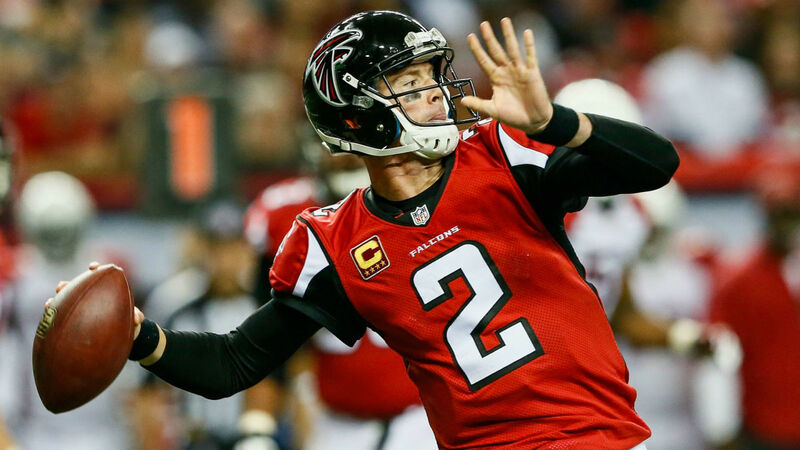 He signed with Seattle in 2011 and had the best year of his career, finishing with 3,091 yards passing, throwing 14 touchdowns and 13 interceptions. After being traded to Buffalo in 2012, he resigned with Seattle in 2013 and was the backup to Russell Wilson as they won Super Bowl XLVIII. Bottom Line: Jackson showed flashes of being a playmaking quarterback, but couldn't do it consistently enough to garner long term commitment from any one team. In 10 seasons, he recorded 7,263 passing yards to go with 39 touchdowns and 35 interceptions. He was a below average starter and above average backup in the right system. Where Is He Now? : Jackson was arrested and charged with aggregated assault in June of 2016 after it was reported he pulled a gun on his wife. The Florida Assistant State Attorney chose not to prosecute the case later that year. 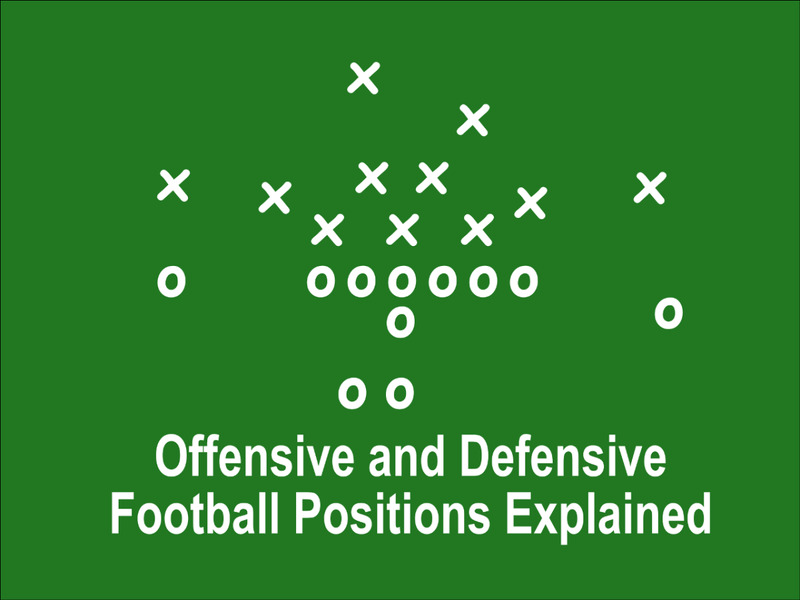 In 2018, he enrolled at Alabama State to become a graduate assistant with an emphasis on quarterbacks in order to become a coach. 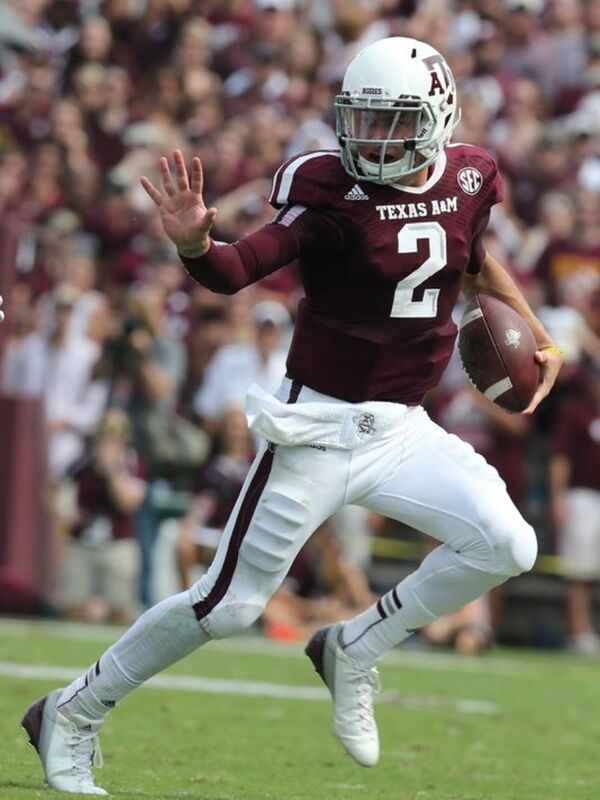 Looking back, who should have been the first quarterback taken in the draft?